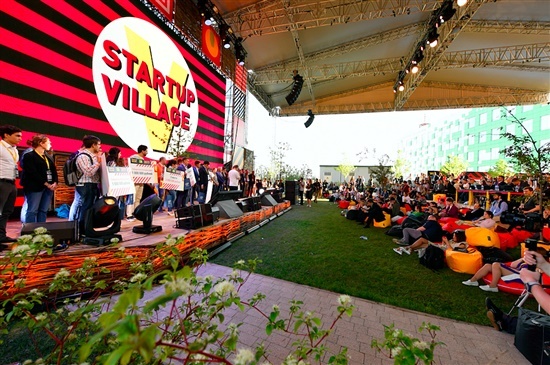 This year's annual Startup Village was held at the Skolkovo innovation city on June 6-7. More than 20,000 entrepreneurs, investors and others from 80 countries attended the giant outdoor event, where startups showed off their inventions, deals were signed and prizes awarded for the best pitches. More than 20,000 people from 80 countries attended this year's Startup Village. Photo: Sk.ru. 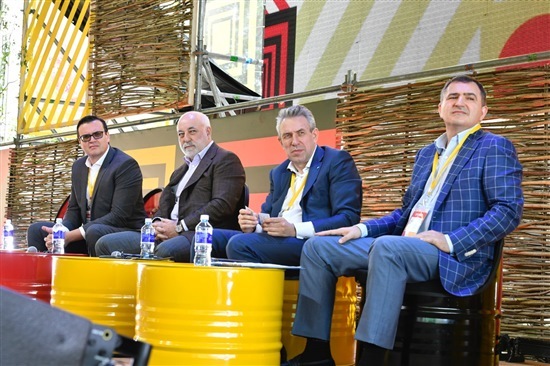 Participants in a session titled "How to Make Russian Innovations Global," including Skolkovo Foundation president Victor Vekselberg (second from left). Photo: Sk.ru. 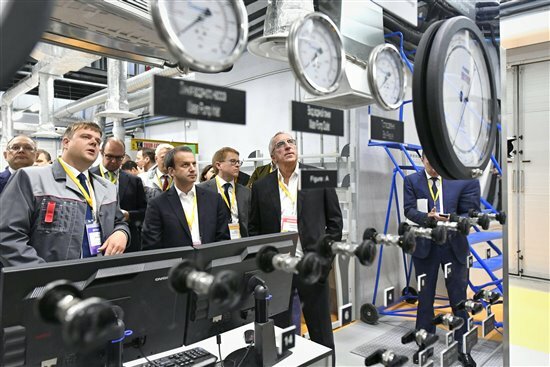 Skoltech president Alexander Kuleshov (right) shows Deputy Prime Minister Arkady Dvorkovich (centre) the university's brand new Center for Hydrocarbon Recovery laboratory. Photo: Sk.ru. 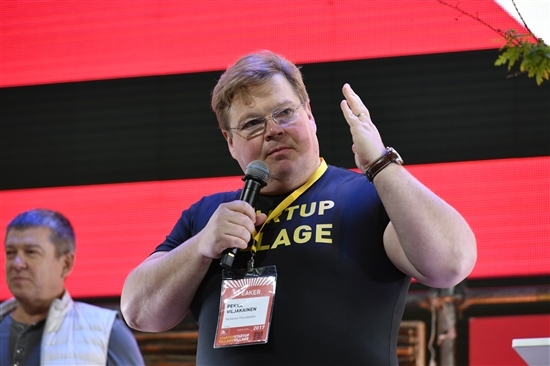 Finnish entrepreneur Pekka 'The Bulldozer' Viljakainen, the driving force behind the Startup Village and an advisor to Skolkovo Foundation president Victor Vekselberg. Photo: Sk.ru. Skoltech's Kuleshov (left) signs a cooperation agreement with representatives of Gazprom Neft. Photo: Sk.ru. 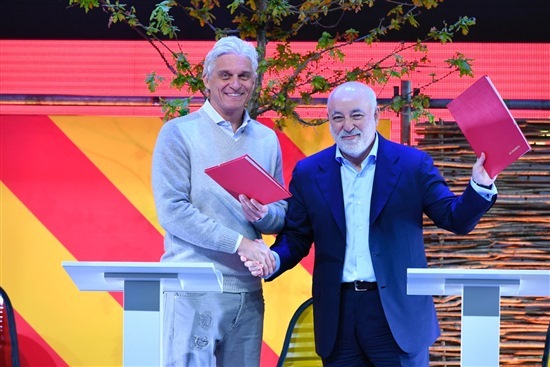 Vekselberg and Oleg Tinkov, founder of Tinkoff Bank, shake hands on a cooperation agreement. Photo: Sk.ru. 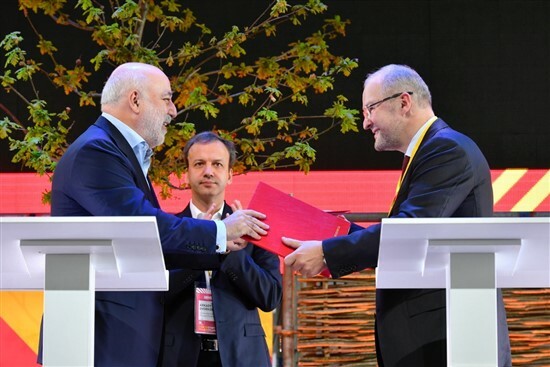 Vekselberg signs a cooperation agreement with Roman Trotsenko, head of AEON corporation. Photo: Sk.ru. 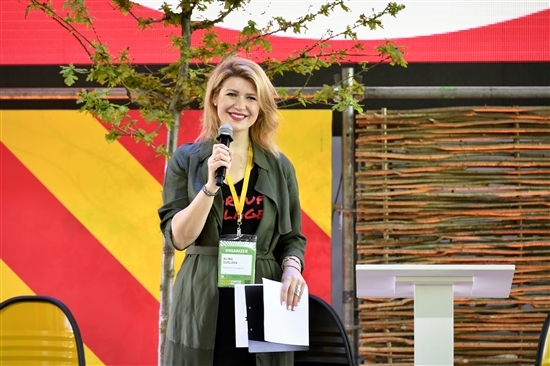 The Skolkovo Foundation's Alina Suslova announces the finalists in the startup competition. Photo: Sk.ru. A friendly basketball match was played during Startup Village between a team representing government officials, including Deputy Prime Minister Arkady Dvorkovich, and a team of innovators from the Skolkovo Foundation. The ministers won 18:14, prompting Dvorkovich to joke: "Bureaucracy always wins." Photo: Sk.ru. 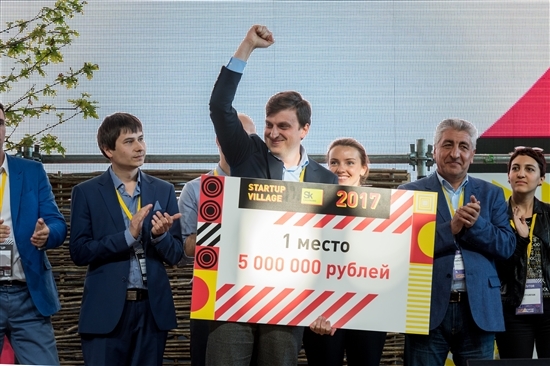 Dmitry Golikov won the top prize at the Startup Village for his biomed project to treat female sexual dysfunction. His project has been dubbed "the female Viagra." Photo: Sk.ru.